ADHQ profiles provide a huge amount of user interface customisation. Use the Profile Editor to tweak the ADHQ interface to your heart's content, or try something completely different with the Simple View. No matter which approach you take, you can rest easy knowing that your admins have a tool perfectly suited for their job. 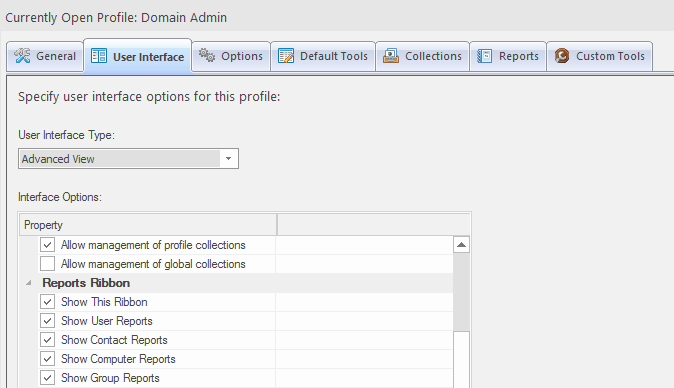 ADHQ profiles can be used to control the appearance of the ADHQ user client. The display of entire tabs can be toggled on and off in the User Interface tab of the Profile Editor. Or, if you're looking for more granular control, use the remaining check-boxes to turn off smaller pieces of the UI, or individual tools. ADHQ Enterprise also introduces a new type of user interface called the Simple View. The Simple View is a single-dialog UI containing a search field that administrators can use to quickly locate and modify single objects. 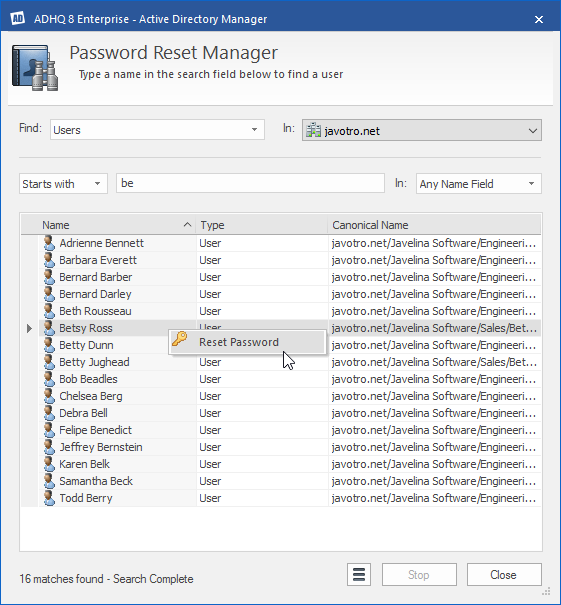 It serves as an easy, functional UI for users that do not need access to ADHQ's more advanced features, and makes for an ideal option as the default UI on limited profiles, like the built-in Password Reset Admin profile. In the Admin Console, users have the ability to tweak several aspects of the the Simple View display, including the title and subtitle text in the window header.